To be the conduit which mobilizes the caring powers of the community for the betterment of the people in the Yadkin Valley. 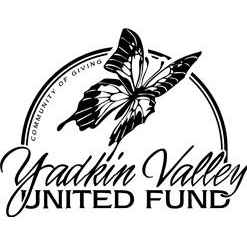 The Yadkin Valley United Fund serves the communities of Arlington, Jonesville, Elkin, Ronda, Mountain Park, Traphill, Thurmond, and State Road, all in the Tri-County area. Please donate on-line, by mail, payroll deduction, or personal drop off at our office at 968 North Bridge St., Elkin, NC.